Your pet will need to be fasted prior to undergoing sedation or general anaesthesia. You can feed your pet a normal sized dinner up until 9pm the night before the procedure. Pick up your pet’s food bowl after this time to ensure no more food is eaten during the night. We advise to have water freely available overnight, but pick up their water bowl 1-2 hours before leaving home so a large amount isn’t consumed immediately prior to arriving at the clinic. There are occasional exceptions to the fasting rule, such as for very young puppies and kittens. In these cases you will be advised what to do by the vet or veterinary nurse when the procedure is scheduled. 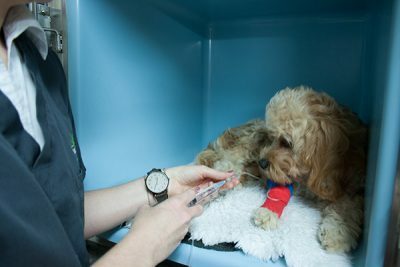 If your pet is receiving any medications it is important to let staff know so you can be advised when these should be given leading up to sedation or anaesthesia. If your pet is having surgery performed they will not be able to have a bath for 12-14 days after the procedure. Therefore, it is a good idea to give them a bath a day or two prior to surgery. 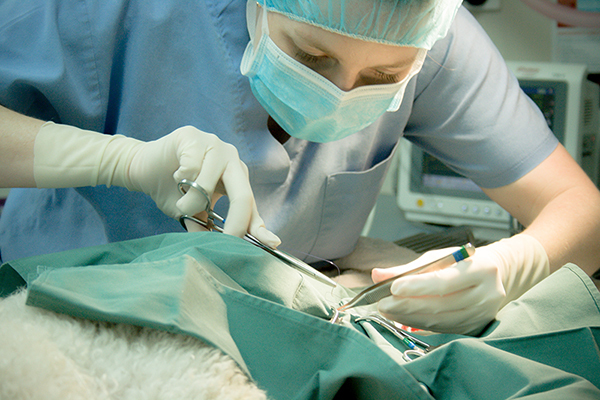 Despite using modern anaesthetic drugs and monitoring equipment, all anaesthesia carries possible risks to your pet. These risks are often related to underlying medical conditions that may not be detected on external examination. To better assess your pet’s overall health and to tailor anaesthesia as best as possible we strongly advise pre-anaesthetic blood testing. This blood test can be done quickly and easily on the morning of the procedure. The results can help to identify problems with the liver and kidneys, which are the main organs responsible for clearing anaesthetic drugs from the body. The test can also identify abnormalities in the blood cells that may affect the body’s ability to carry oxygen, fight infection or prevent excessive bleeding. If the test results are normal we can proceed with confidence and also have a good baseline result to compare to if your pet becomes unwell in the future. If abnormalities are detected we may need to alter the anaesthetic procedure or, in some case, postpone the procedure until further investigation or treatment is carried out. During the pre-anaesthetic examination your pet will receive a dental check up which may highlight tooth and gum disease with the need for cleaning or possibly tooth extraction. Under some circumstances we may be able to address these issues while your pet is under anaesthesia. If you have concerns about your pet’s teeth, please discuss this with your vet or veterinary nurse during admission.